Use these 6 tips to make your URL management easier in ASP.NET MVC 4. When you first got into web development and developed your first web site, it was probably a simple 2 or 3 page site, probably static, and a LOT of links. If a page's URL changes, you would have to change every link on every page that referenced that URL. Not cool! 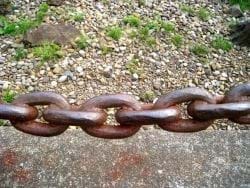 Here are my top 6 ways to manage your links across your own ASP.NET MVC website. Place your links in one place. When I mean place your links in one location, I don't mean place them into one HTML View. I mean logically partition your links in a Helpers\Url folder by class or, if you have a small web site, place them into one class for easy reference. Remove your Url.ActionLinks from your Views. I would say that 60% of every ASP.NET MVC application I've seen, a majority of people use the good old Url.ActionLink syntax when building their links on a View. It makes your code compile-able with no "magic strings"
It refers back to tip 1 which implies that all links are in one centralized location. I can just hear all of the developers groaning and moaning about regions, but I find them helpful when I have a large list of URLs that I can easily see at-a-glance where everything is located in the class. As I've said before, it's like a table-of-contents for link management. The Url.RouteUrl is the fastest generation of a Url in ASP.NET MVC. Period. There were tests done comparing the different types of link generation and Url.RouteUrl was the fastest out of all of them. I have seen it's speed on a link directory web site I wrote back in 2012. After replacing the Url.ActionLink with Url.RouteUrl, there was a significant speed boost. There's no harm in adding this one as well (so long as you need it). Use common UrlHelpers in every project. If there are common links you use, place these UrlHelper routines in your scaffolding to speed up your development. For example, here's one for a Root Url that will take you back to a main page. I hope these UrlHelper tips make your link management a little easier on you when developing your ASP.NET MVC web site.